THIS BLOG POST ORIGINALLY APPEARED ON BLOG.FH.ORG. WRITTEN BY RENEE TARGOS. ADAPTED BY JESSI HALL. 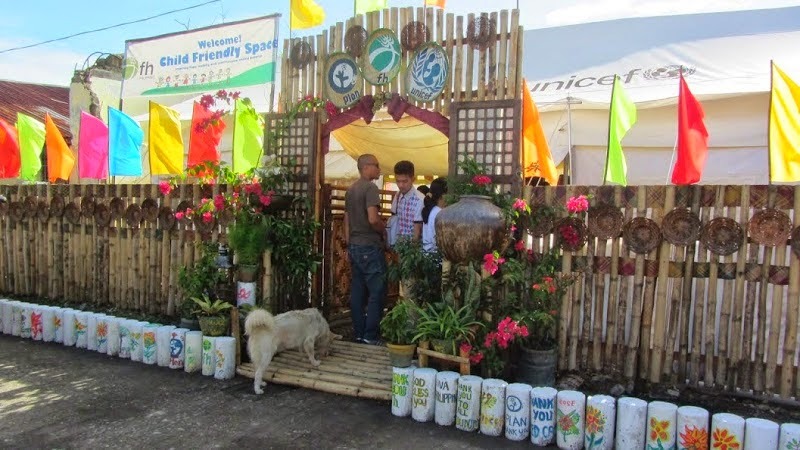 Typhoon Haiyan devastated communities in the Philippines. 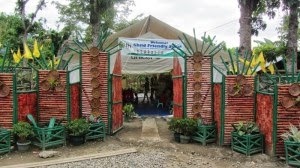 But in the midst of destruction, children are getting creative and improving the local curb appeal. Not only are people dealing with the loss of loved ones, they have to see the streets and homes that have been ravaged by the storm daily. Piles of splintered wood and heaps of debris serve as a constant reminder of the past. As these courageous people rebuild their communities and make new lives for themselves, FH has come up with one way to help. 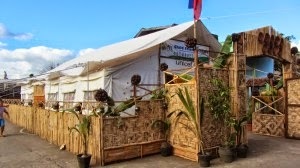 FH has created safe areas for children to escape from the devastation outside. Trained counselors are available to kids to talk to about the trauma they've experienced. They can read, learn and play with other children in a positive environment. 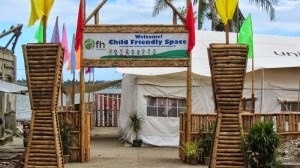 Recently, FH staff held a competition among all the kid-friendly spaces. Who could build the most beautiful fence? The fences surrounding these spaces offer something of a visual break from the brokenness surrounding them. 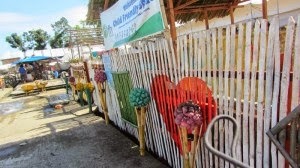 The children and families affected by the storm have a beautiful and comforting place to go now. These spaces offer peace and hope for a better and brighter future. We commend these kids for making a difference in their community! If you'd like to contribute to this and similar projects in the Philippines, click here.